The internet constantly brings the most random ~news~ trivia to the surface, and it doesn’t get more trivial than the mystery of colored bread twist ties. 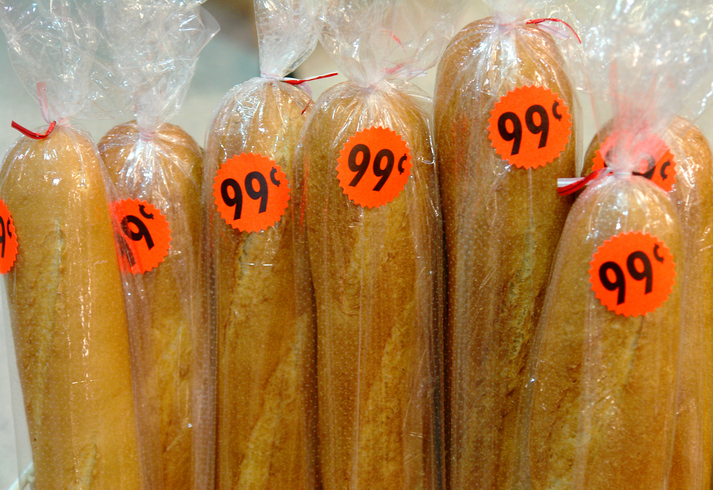 When you buy a loaf of bread at the store the color twist tie isn’t arbitrary — it actually means something. The colors designate which day the bread was baked on. The “Best By” date you see on the loaf is actually the sell-by date, so if you want to know what day your bread was baked, look at the twist tie. Blue means baked on Monday. Green means baked on Tuesday. Red means baked on Thursday. White means baked on Friday. Yellow means baked on Saturday. According to Snopes, the bakeries are given two days off, Wednesday and Sunday. If you’re at the store on a Tuesday and see a blue tag, you know your bread was baked the day before. Tbh, we don’t see ourselves memorizing the colors and cross-referencing loaves at the store. Thankfully, this color coding is actually for the store clerks, not for us shoppers, and you don’t really need to worry about it. “Bread is not kept on the shelf for longer than a couple of days. Indeed, it’s those colored twist tags that make this recycling of stock practical — because of them, the restocker has an easy time recognizing which loaves have to be taken away,” according to Snopes.